Big Data University offers over 60 courses on Hadoop, HBase, Pig, big data, SQL, IBM BLU and more. Most courses are in English, but some are in Japanese, Spanish, Portuguese, Russian and Polish. Cloudera has a Cloudera Essentials for Apache Hadoop online video courses that's distributed chapter by chapter (sometimes two at a time), as well as Hadoop tutorials aimed at administrators, data analysts, data scientists and developers. 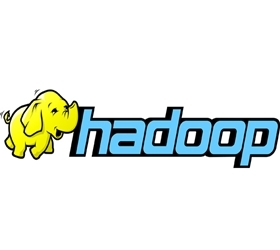 Your next step could be taking the three-lesson Introduction to Hadoop and MapReduce course, offered through Udacity. Cloudera also has a free live Hadoop demo, called Cloudera Live, to help you learn the environment. IBM's Open Source Big Data for the Impatient walks you through the fundamentals of big data and Hadoop, and has you download a Hadoop image (Cloudera is recommended) to work through examples of Hadoop, Hive, Pig, Oozie and Sqoop. The course is available in English, Chinese, Vietnamese, Portuguese and Spanish. The Hadoop online tutorials site managed by Anil Jain provides links to branded (for a fee) training as well as free online tutorials. Several of the free resources are also featured in this blog post but there are others that are definitely worth a look. Udacity is well known for its catalog of training courses on data science, web development, software engineering and mobile operating systems -- built by Silicon Valley heavy-hitters like Facebook and Twitter, Cadence and many more. Udacity offers a free 14-day trial, along with free course materials, but you need to pay after that if you can't complete a course and want to pick up where you left off. Udemy offers over 22,000 free and for-a-fee courses on just about everything under the sun. When you get to the homepage, enter Hadoop free in the search box to see what's currently being offered.